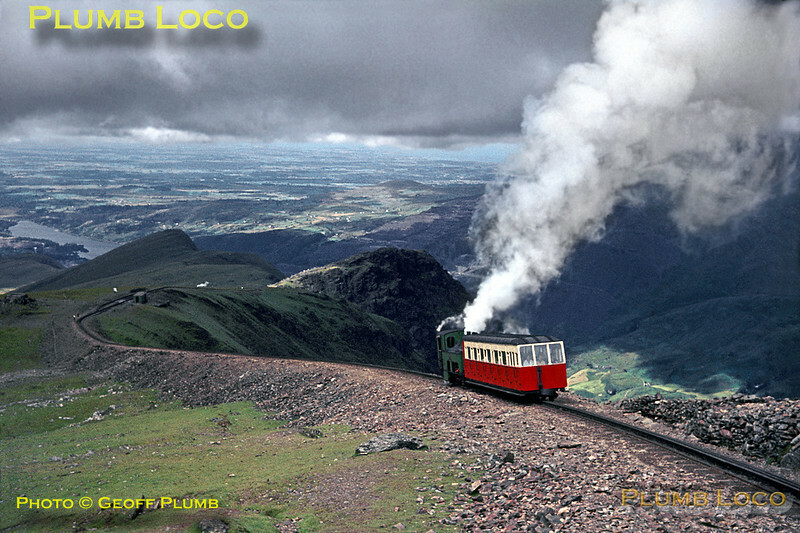 Snowdon Mountain Railway. 1964/07/31. Almost at cloud level, SMR No. 2 "Enid" has just passed No. 6 "Padarn" at Clogwyn station loop, seen in the background, and is now slogging away on the final stretch to the summit as it crosses the embankment on the narrow ridge high above the Llanberis Pass. Llyn Padarn can be seen way below to the left of the picture. Friday 31st July 1964. Slide No. 913.